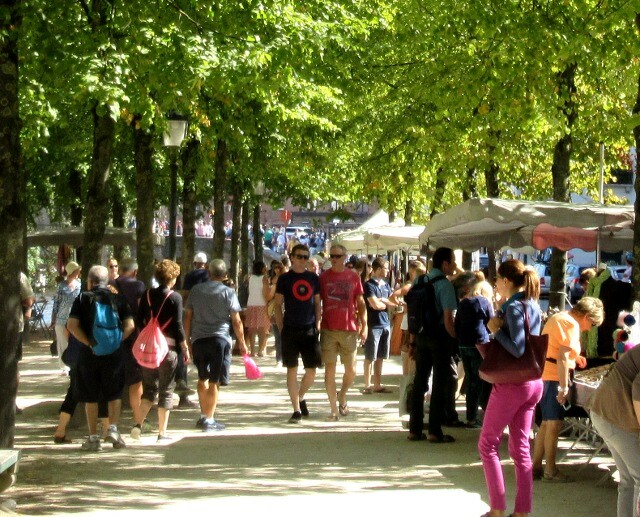 I wrote recently about Belgium’s undiscovered gems of history and tourism. 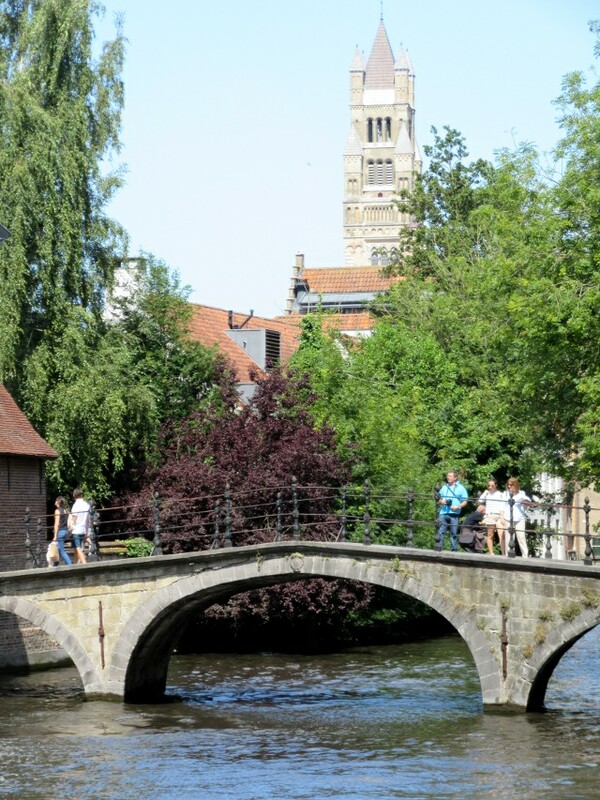 Bruges in West Flanders is not one of those, it is possibly one of the two or three best known places in Belgium to visit along with the WW1 battlefields and Brussels Grand Place, especially for the English speaking world. 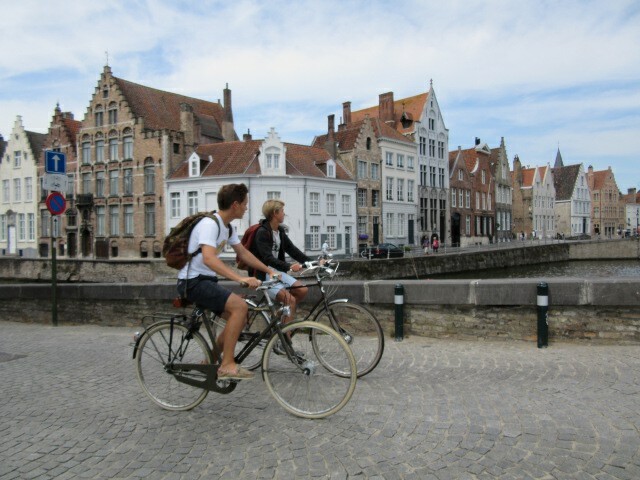 I have previously been there out of the main holiday season when the cobbled streets, squares and canals were not over-run by fellow tourists so it was with a little trepidation that we booked to go to Bruges on an overnight visit in early August. 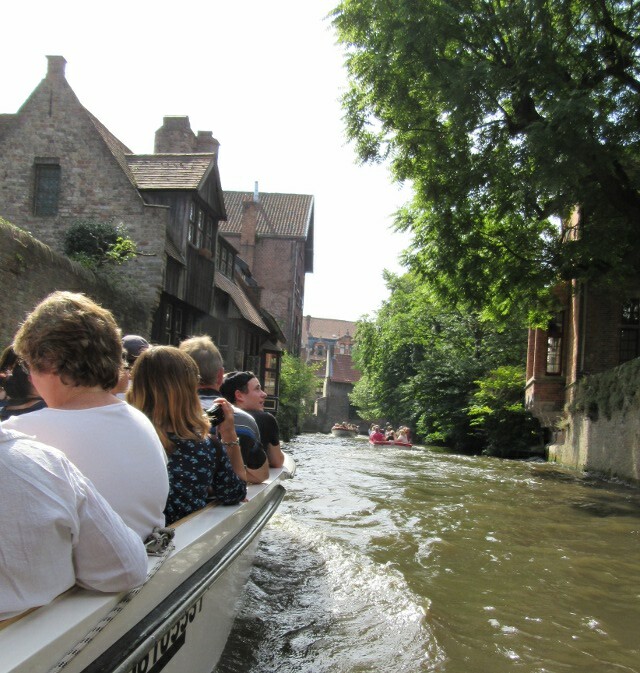 We hoped past pleasures were not going to be swamped by the sheer volume of people, especially as we were introducing two friends to Bruges for the first time. No need to worry. 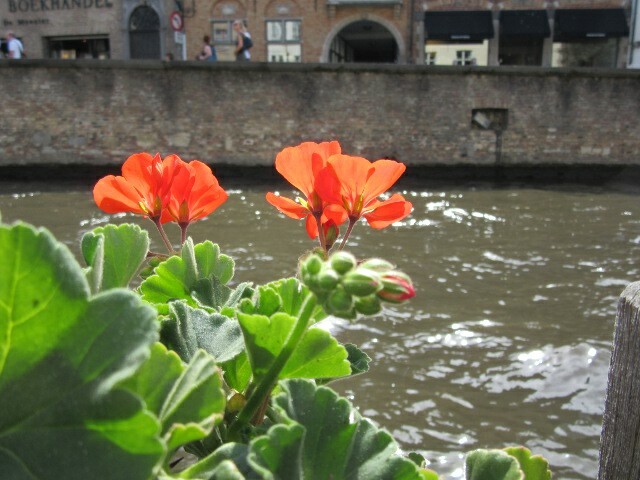 Despite the fact that it was much busier the town retained its charm, beauty and sense of history throughout the weekend. In fact just a few minutes from the hot spots around the main market square there were oases of peace and tranquility tucked away to delight the senses, and the camera. That is helped by the fact that the city has very low traffic volumes and speeds. 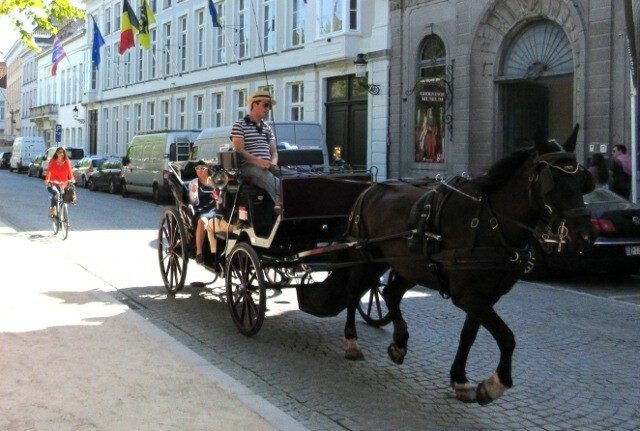 It isn’t quite car free, but here the pedestrian is king, closely followed by the horse-drawn carriages, bicycles and tour boats. In visual terms there are some wonderful set piece locations that should feature in any montage, especially the views over the canals. 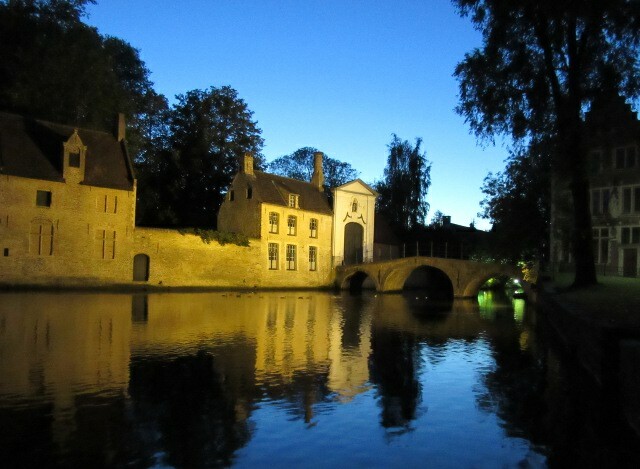 The open water area in front of the gate of the Beguinage is especially stunning at night. 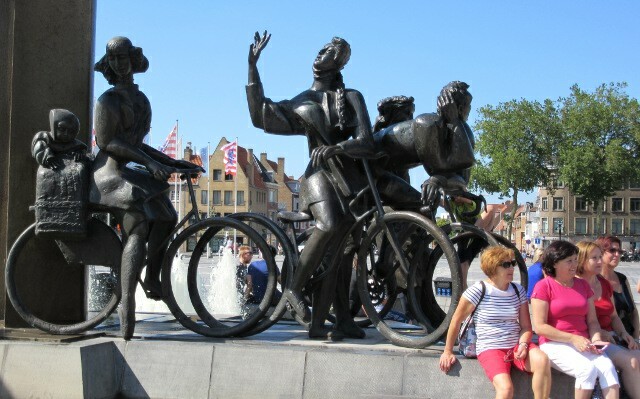 But the best of Bruges also encourages me to look beyond the set piece, especially to look up above the heads of the tourists. There the Flemish stepped gables mingle with the grey rooves of the great churches and the coloured facades glowed in the sunshine of a bright day. Of course while I was there I couldn’t help be drawn in by the fact that Bruges is one of Belgium’s top cycling towns, so in the next post I’ll post a little photo essay on the cyclists of Bruges, but for today I’ll just let these picture of the city speak for themselves Definitely one of my top recommendations for any tour of Europe, not just of Belgium. One of my favourite images of the weekend. 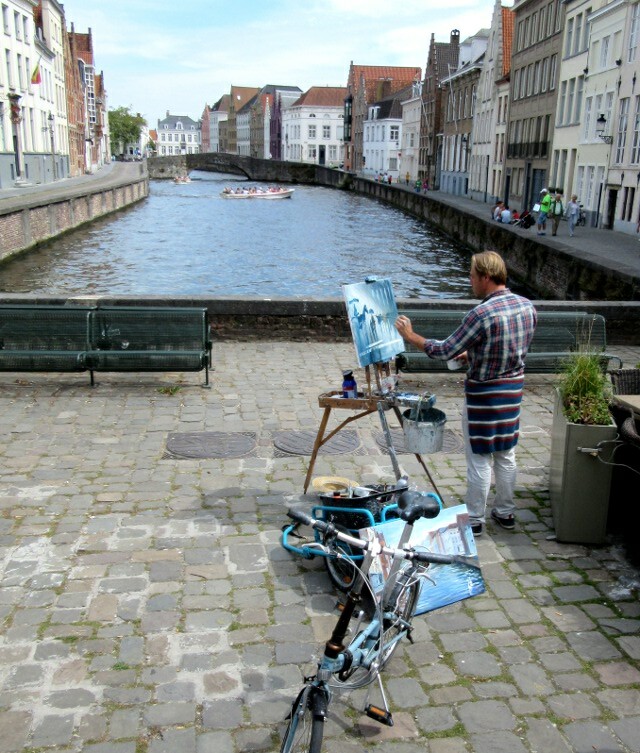 Artist, bicycle, trailer and the wonderful canals of Bruges.